It is quite difficult to look stylish in winter when the temperature drops to sub-zero and it is snowing or sleeting. How is it possible to stay elegant wearing tons of winter clothes and winter coat? 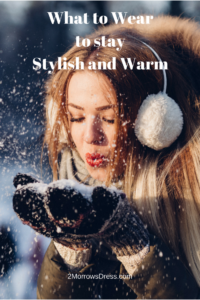 What is more, can winter clothes for women be chic, but on the other hand, warm? The weather in winter is unpredictable, thus you cannot say what to expect tomorrow and what exactly to wear. However, you do not need to stop wearing your favorite style of clothes. 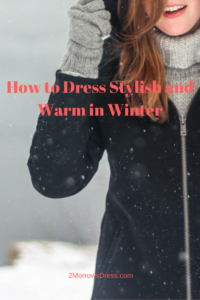 How to stay warm without putting on too much winter wear? Thermal underwear has become an essential element of winter wardrobe not only for sportsmen and those who prefer active life, but for average people as well. The new material used for its creation makes it thin, but very warm. It helps to keep the body temperature and not to sweat; and its thin makes it almost invisible, but otherwise helps to correct your body shape. Besides, the quality thermal underwear can be worn under any casual or design outfit. You should choose simple, quality but universal pieces of clothing that can be combined together easily. The ideal variant is using three colors in creating your winter fashion look. 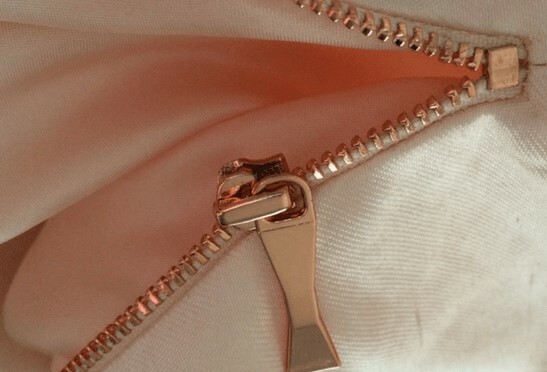 Should your winter collection be large? The main aim of a capsule collection lies in choosing the minimum pieces of clothes that are complementary. You should invest much money in such basic elements of your wardrobe as jumpers, cardigans and sweaters. Selecting different models and material, you can combine them with the other elements to create fancy and beautiful outfit ideas. Today there are numerous models to choose from starting from a classics and oversize to cute hoodies and sweatshirts. If you prefer classic dress code, then have a look at fashion suits made from tweed material; the models with a high waist are the latest fashion trend. Many girls do not know how to wear multi-layer outfits without looking like a cabbage. Following these simple rules will help you to avoid looking that awkward. To avoid bulk, the first layer should always be made of thin material, thus you can put on a more volumetric piece of clothing on top without making your figure heavy. 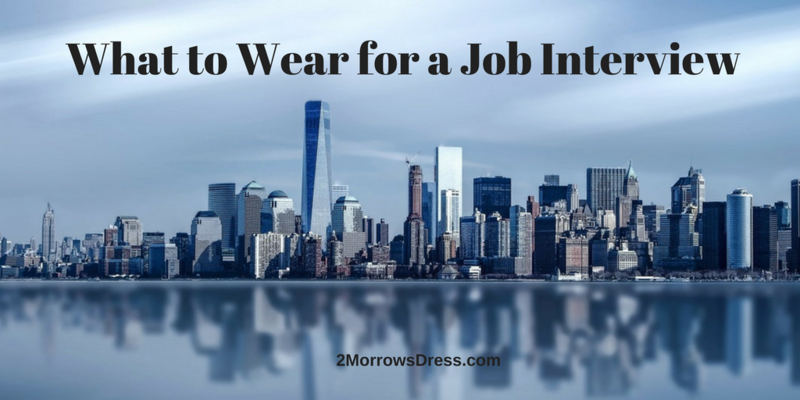 A win-win option is selecting outfit in one color; avoid mixing too bright or contrasting colors. And, of course, do not be afraid to experiment with materials. Many women prefer wearing long down coats in winter, that does not couple well with business suits or feminine dresses. What to wear then? The golden rule is that outer clothing cannot be cheap. There is a wide range of options now on the fashion market; you should certainly have a look at casual models that look very stylish. Anorak coats and parkas are extremely warm and can go with various elements of clothing. Various fur coats made of genuine or artificial fur can help to keep you warm in winter as well. If you wish to stand from the crowd in this gloomy season, you can add a bit of color to your wardrobe. Most people prefer wearing dark clothes, but what about choosing such bright colors as red, green, yellow and others. They will cheer you up. However, if you are not eager to wear bright colors, you can always buy colorful accessories. Cozy scarfs and gloves can add a chic to your gray day. Experiment and show your individuality with the help of such small things that can shape the general view of you. As someone once told me, style is a reflection of your attitude and personality, thus your winter wardrobe is a reflection of you. Listen to your inner “yourself” and choose clothes that will raise your mood once you put it on. You do not need to impress anybody by dressing fancy, but to stay comfortable, as style is about being yourself rather than dressing due to what is fashionable. Guest Post: Nicole Lewis is a freelance writer. She has been working at EduBirdie UK for 4 years and constantly works on improving her writing skills. Amidst her hobbies are fashion, sports, traveling and cooking. She also dreams of publishing her own book devoted to fashion trends. Nicole believes that the joy of dressing is an art that can be taught. This post contains affiliate links, that means I may make a small commission at no extra cost to you. You won’t pay anything extra but it helps to support running this website and continue to publish original content. Additional information can be found on my disclosure page. Very interesting article, thanks for that. I think that you are a very good writer, and this post confirmed this. Interesting article! 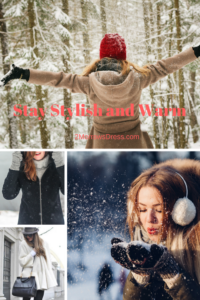 These are the best ways to style up in winters . I would love to try these outfits. Thanks for sharing the great article. I love this article-thanks for the ideas. Here in WI we need to bundle up!